As a new American president takes the stage, reading a history of an American president some 180 years prior is an enlightening joy. Watching Barack Obama utilize his mandate from the 2008 election has been the perfect backdrop for going back in time to learn how — in 1828 and during the eight years of two terms Andrew Jackson showed many U.S. presidents how the power of the presidency might be used to lead. A youth during the War of Independence, a hero of the War of 1812 and a renown Indian fighter, the man those close to him called “the General” won the popular vote as well as the electoral vote in two elections, and he never let it be forgotten by those who disagreed with his reasoning. 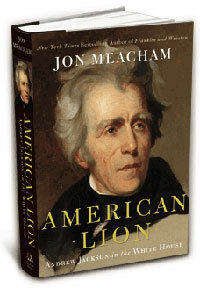 Meacham paints a thorough portrait of Old Hickory — warts and all — yet his loving brush strokes are obvious. Readers, too, will find much to admire in Andrew Jackson, yet much for which to find fault with him as well, and that’s to the historian Meacham’s credit: He lets Jackson be human, not all good, not all bad, but multi-dimensional. Jackson was the break-through candidate, the one who saw the president as the representative of the people against entrenched interests. He took that mandate from his election as a voucher giving him the right to make changes — and that he did. Coming from his Tennessee home (the Hermitage) to a Washington that was just decades old but already seemingly set in its ways — particularly with regard to who had a “right” to government jobs — Jackson made it plain that he do things differently — and his way. Hundreds of long-time government staff found they were replaced by Jackson appointees, for one thing. That was new. When it came to Congress, Jackson initiated greater use of the veto, enhancing presidential power: In 40 years no more than four or five Acts of Congress had been vetoed by six presidents; Jackson vetoed four in three days. Jackson was the first Democrat, and might be credited — for good or ill — as the one who started party-line voting, and a president who offered favors for votes in Congress. During the election year of 1832, when he sought a second term, Jackson broke with tradition and initiated the first presidential campaign tour. Not willing to let others do his bidding, Jackson made the barbecue circuit, shaking hands and being seen as he made his way from his home in Tennessee to Washington and elsewhere. In New York City, one observer likened a Jackson torchlight parade to Catholic processions. The campaign of 1832 may be where image first played a major role in how Americans voted. Jackson’s men repeated the message that “a vote for Jackson was a vote for the people while a vote for (Henry) Clay was a vote for the privileged,” Meacham noted. Jackson understood the power of his personality and how the power of personality gave a president power. Along the way, though, President Andrew Jackson made what today society would say were serious errors — even immoral ones. For one thing, Jackson was a slave owner and upheld the practice of slavery. He moved to curb the forces of abolition, even suppressing with presidential orders the right of printed material to be delivered from abolitionist writers. He also saw Native Americans as just in the way of the progress of white U.S. citizens, and his policies and practices led to cruel resettlement of Indian tribes. The “Trail of Tears” — the forced removal of the Cherokee to the west — was a shameful result of Jackson’s Indian policy though it took place a year after he left office. An estimated 4,000 of the 16,000 Cherokees forced out of Georgia died along the way due to brutal treatment by the U.S. military. Ironically, despite his own participation in slavery, Jackson is also credited with preventing the southern states from seceding from the Union. When South Carolina felt compelled to reject Acts of Congress, Jackson stamped down and denied that any state had the right to do that. When the tariff on southern cotton proved to be a divisive issue that could lead to succession, Jackson worked out a compromise that cooled tempers. For my taste, too much of Meacham’s work pays attention to the pettiness of Washington society and how it impacted Jackson’s cabinet and household. — Using the veto as a political weapon. 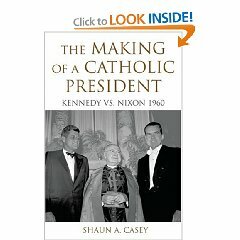 “He gave his most imaginative successors the means to do things they thought right,” Meacham noted, citing examples of Theodore Roosevelt, Franklin Roosevelt, and Harry Truman as evidence. Readers interested in Jackson’s spirituality will find consistent references in “American Lion” that show the seventh president to have been a man of prayer. Jackson’s rhetoric regularly includes mention of the Almighty, he is seen in prayer and frequently a nearby church, though he didn’t join a particular denomination — Baptist — until after he left office. His reasoning? He didn’t want it to look like he was joining just to improve his image.